One type of band heater, Tubular band heaters, are wider and therefore cover a wider surface area to provide higher heat to cylinders or nozzles with smaller diameters. 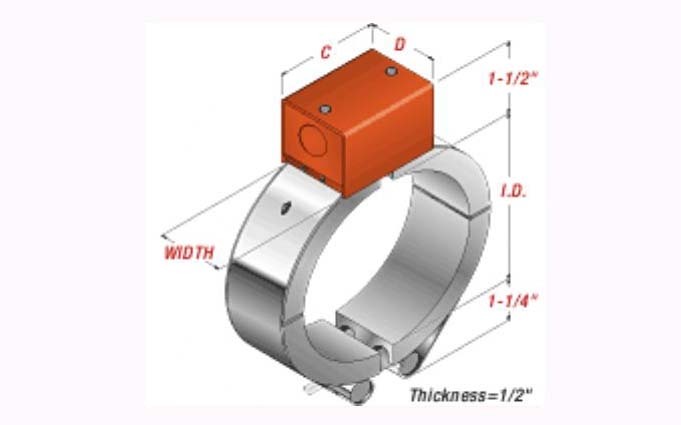 Heater bands are generally appreciated for their quick, easy clamp-on installation and for how quickly they produce heat. While band heaters usually provide direct conductive heating to substances such as plastic and polymer-metals, they may be used for convectional air heating as well. Convective heating is heat transfer through gasses and liquids; band heaters can be used to heat small volumes of air, often within manufacturing or processing equipment. Band heaters can also be used as ice melters in eaves troughs and gutters. If properly insulated and reliably powered, they can keep gutters completely free of snow and ice even during harsh winters. Many industrial processes require access to band heaters and other small heating equipment. Heating is an essential element of nearly all extruding processes; most plastic and metal extrusion processes involve the plasticization, or melting, of the materials intended for extrusion. Band heaters supplement the heat generated by friction during extrusion processes. They provide direct, efficient heat in cramped and oddly shaped areas where other types of heaters would not be effective. Such applications include plastic injection molding, plastic extruding, metal injection molding, blown film extruding, front end extrusion heating, wire processing, chemical and food processing. Band heaters are sometimes employed as baseboard heaters to provide indoor heating. Insulation materials in band heaters are the same as those used in strip heaters. They can be composed of mineral, mica and ceramic materials, among a few others. 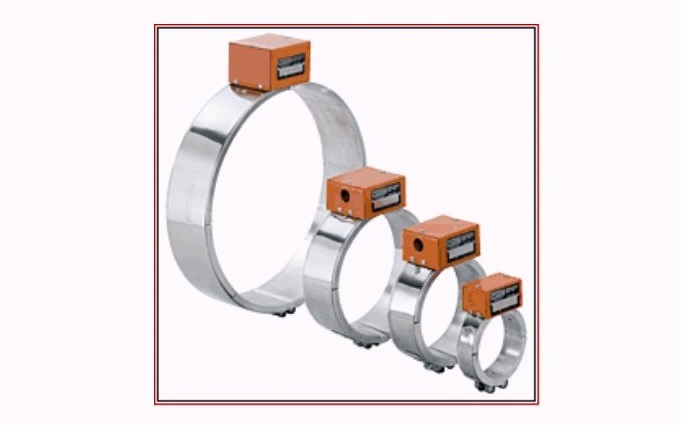 Mineral insulated heater bands with stainless steel construction are capable of reaching the highest temperatures; some are capable of generating temperatures as high as 1400ºF. Ceramic band heater temperatures can reach as high as 1200ºF, and mica insulated heaters can generate temperatures between 300º and 800ºF. Insulation also helps to prevent short circuiting and protects the heating elements from exposure to chemicals or conditions that could cause equipment failure or performance degradation. Band Heaters Band heaters are thin, circular electric heaters that clamp around cylinders, pipes and nozzles to provide direct or radiant heating. Similar in construction and application to strip heaters, band heaters are used mainly in plastic and metal forming processes, particularly extrusion. Available in a virtually limitless range of widths, diameters, thicknesses, sealing capabilities and clamping options, band heaters, also known as "knuckle heaters" and "barrel heaters," provide direct heating at temperatures anywhere between 300º and 1400ºF.